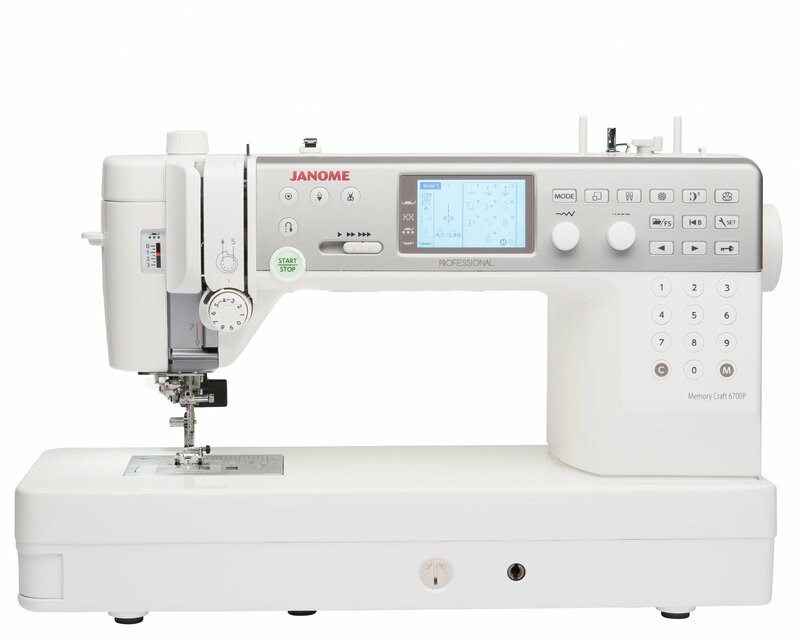 The Janome Memory Craft 6700P Professional is the first domestic flat-bed sewing machine to feature Janome’s Patented One-Step Needle Plate Conversion. Stitching at a maximum sewing sped of 1,200 stitchs per minute (S.P.M. 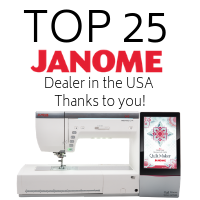 ), the Janome MC6700P is one of the fastest semi-industrial machines in the Janome range. 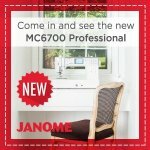 Improving on the Janome MC6600P long arm design, the MC6700P offers 255mm (10”) of flat seamless work area, and once the large extension table is attached, the work space is significantly increased! The MC6700P Professional allows you to sew and see using its inbuilt ultra-bright LED lighting areas; and customisable LCD Stitch Layout. Furthermore, you will be spoilt for choice with 200 built-in stitches, 9 one-step buttonholes, and 2 alpha numeric fonts (including 9mm lettering and numbers). Best of all, you can customise each stitch including buttonholes plus save as a favourite stitch.